16. 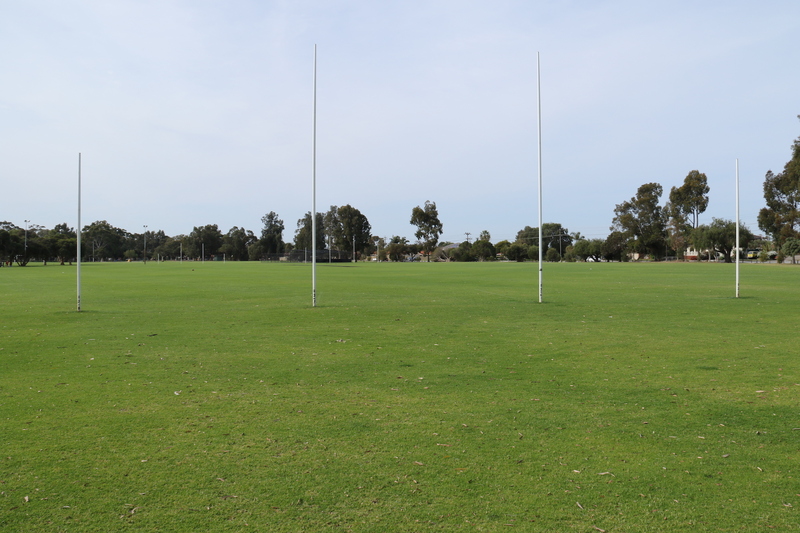 Sep – Perth, Australia – A football posts in Burrendah Park. On an AFL Oval, there are basically four goal posts at either end. The two posts in the middle are called goal posts and the two posts on the outer sides are called behind goals. A goal must be scored when the football is pass through any of the four post goals, by the attacking side. When scoring a goal, it will be worth six points when kicking it through the goal posts, but when kicking the football into the behind goals, it will only be worth one point. A typical AFL game will be split into four quarters/rounds, within 20 minutes each, plus extra time. The main objective of AFL is, the team with the highest score after a total of four quarters/rounds, wins the game.